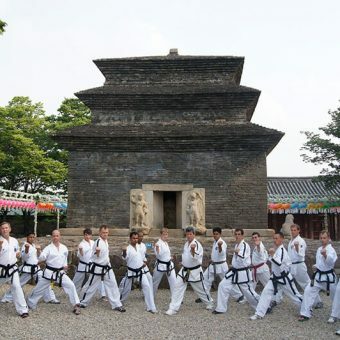 Taekwon-Do literally means “the way of the foot and fist.” However, that name has only been used since 1955, while the arts’ roots began 2,300 years ago in Korea. 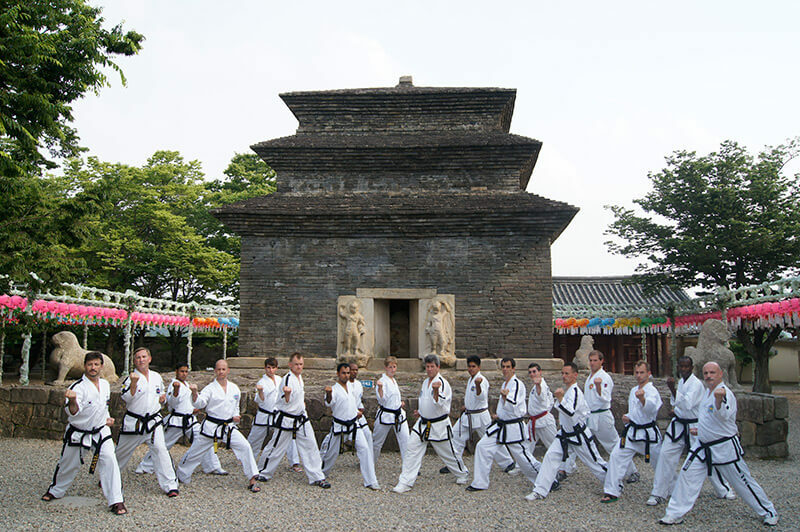 Known as a martial art and way of life, the evolution of Taekwon-Do was a direct result of Korea’s historical events, and a knowledge of that history is an important step in understanding Taekwon-Do. Choi Hong Hi (November 1918 – June 2002), also known as General Choi, was a South Korean army general and martial artist who is in many circles regarded as the “Founder and First President of the International Taekwon-Do Federation,” “Father of Taekwon-Do,” and “Founder of Oh Do Kwan.” Taekwon-Do was developed by General Choi in the 1940’s as a combination of a Korean form, taek kyon, and the Japanese discipline karate. It is a method of unarmed combat intended for self-defense that engages the mind and the body. Headed by Jerry Potts (6th Dan) and a staff of expert instructors and managers, including Patricia Potts, Angela Chandler, Orion’s Belt School of Self Defense offers a number of programs for physical fitness and instruction in martial arts. 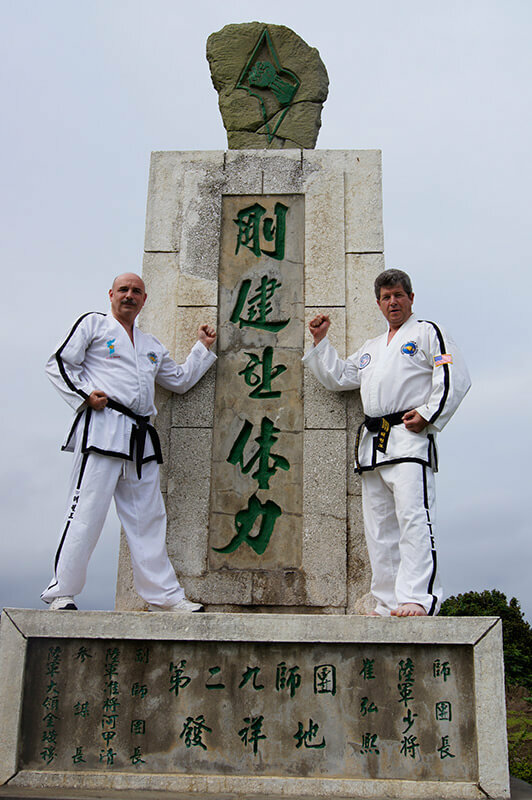 Grand Master Robert N. Wheatley has been studying Taekwon-Do for almost 40 years. He was born and raised in Wicklow, Ireland. While in England for a short period of his youth, he became interested in Kenpo, boxing, and Ju-Jitsu but did not begin any formal martial arts training until 1970 when he returned to Ireland. He began his studies of General Choi Hong Hi’s Taekwon-Do under Grand Master Rhee Ki Ha. 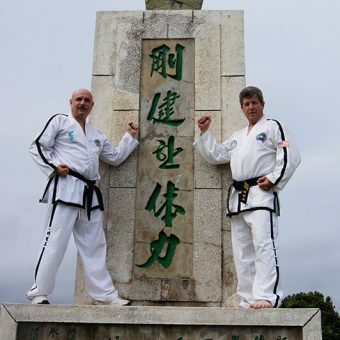 Just three years later he became an instructor for the Republic of Ireland Taekwon-Do Association and in 1975, he took first place in patterns and second place in power breaking at the Irish National Championships. Almost immediately upon Grand Master Wheatley’s involvement with Taekwon-Do he became a well-known and respected martial artist. In 2002, Grand Master Wheatley became the President of the United States’ International Taekwon-Do Federation. That year, he also attended the last Master’s Course held by General Choi Hong Hi in Vienna Austria. Grand Master Wheatley still serves as President of the US-ITF and is Chairman of the Scientific Research Committee for the ITF. On July 29, 2016 Master Wheatley was promoted to 9th Degree by the President of the International Taekwon-Do Federation, Choi Jung Hwa, the son of the founder. Outside of Taekwon-Do, Grand Master Wheatley is a dedicated father, a pilot, a poet and a musician. Headed by Jerry Potts (6th Dan) and a staff of expert instructors and managers, including Patricia Potts, Angela Chandler, Orion’s Belt School of Self Defense offers a number of programs for physical fitness and instruction in martial arts.